Is Your E-commerce Business Making One Of These 10 Design Mistakes? BlogSelling OnlineIs Your E-commerce Business Making One Of These 10 Design Mistakes? This article is for entrepreneurs who are struggling. If your online store generally sells well, you can skip this. If you’ve just opened up shop and there are no sales for three months or so, perhaps it is not a problem with your product or advertising, but a problem with the look and feel of your online store. Buyers are generally lazy. Keep this in mind as you consider the advice we’re going to give you in this article. The customer will probably not look very hard for the Buy button, will not ask the seller an additional photo of the goods by mail, will not try five times to enter the correct captcha in the registration form — he or she will just be gone. If you think your store’s design errors are harmless but you’re still not meeting goals, it’s time to fix your lingering problems. If a visitor wants to to buy something but can’t find where to do this, you’re going to lose your sale. 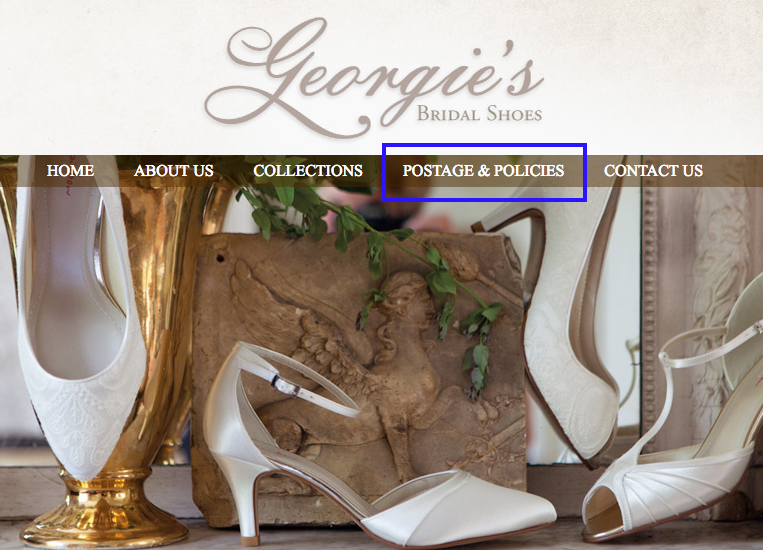 The shop section of your website needs to be plainly obvious to find, unless your site is focused on something else and the shop is merely a secondary feature. 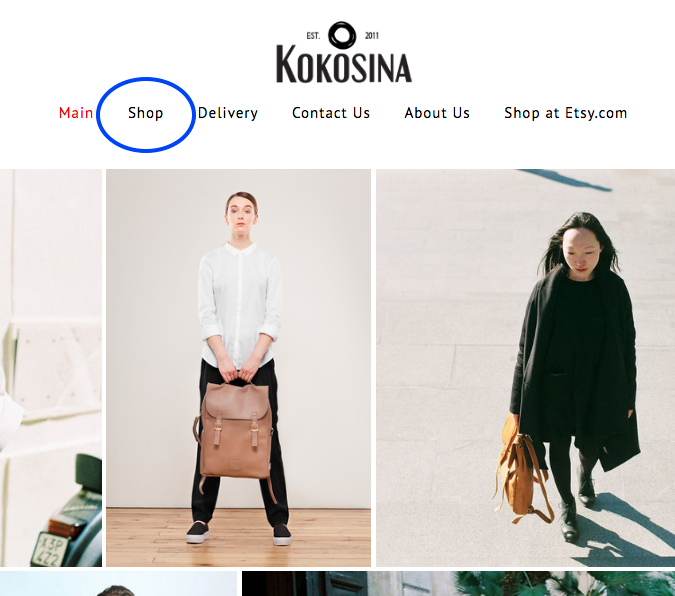 How to fix this problem: Place an online storefront on your site’s main page, or make it one of the first links in the site’s menu. Make your shop more visible! People love looking at pretty pictures, so make sure you give them plenty to look at as they weigh their buying options. If you don’t use product pictures, or don’t have the time or desire to post quality images, then there will be no customers. You can’t touch a product in an online store, so you have to do the next-best thing very well: give people something great to look at. How to fix this problem: Take lots of photos and post the best ones. Light them beautifully, experiment with panoramas and 360° images. It’s inconceivable to be careless about product descriptions. If you sell clothing and simply describe an item as a “cashmere sweater” and leave it at that, no one will ever pay attention, let alone pay money for your product. A thoughtful product description makes the item stand out. 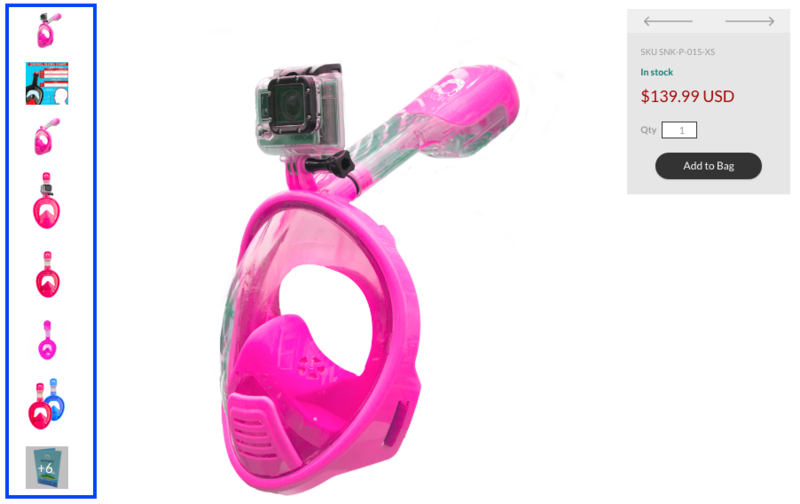 When you write them, your product descriptions ought to describe what makes the item unique and memorable. A million other vendors might sell cashmere sweaters, so what makes yours distinct? How to fix this problem: Introduce the product with all details you can. If you are selling clothes, for example, describe the fabric, texture, and what it feels like to wear the item. Include guidelines on sizing and how to care for the item upon purchase. Recommend related products that might go with the item. Lastly, make sure that your product description is unique to your site, not copied from somewhere else. 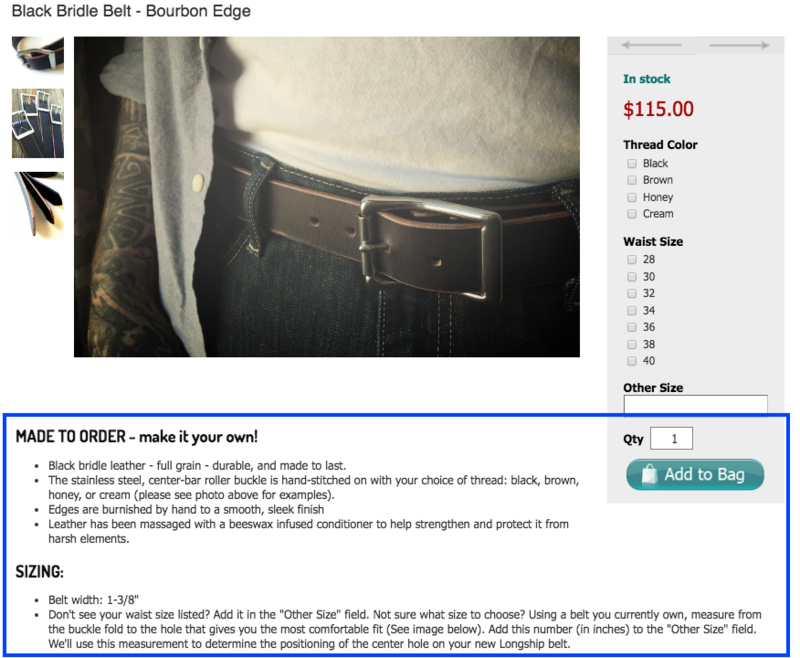 Maybe your store’s buy button blends in with the background or the text of the site. Maybe it only appears when your cursor hovers over the item. Either way, the buyer isn’t going to be able to intuitively identify the proper way to add the item to a shopping cart and complete checkout. Eventually they forget about the purchase altogether. How to fix this problem: Make your buy button plainly visible and be sure it includes a call to action. Use a common language such as Add to Cart or Buy Now. Make your buttons bright and unignorable so that they stand out. Okay, I saw a buy button and clicked on it. What happens next? Did anything happen at all? How to fix this problem: Put a shopping cart icon in a prominent position and a familiar place — this almost certainly means the upper right corner. It can also go at the bottom of the screen, but be sure that is is seen immediately. There’s no need to reinvent the wheel here. Customers have been conditioned to look for these images, so clicking the buy button should take the customer to the basket page. Suppose your products are so cool that a buyer immediately picks up 10 items. He or she goes into the cart and sees something unexpected, like: socks art. 0023 , cap art. 0015,  scarf art. 0040 … There are no pictures and no descriptions. It is not a user-friendly shopping experience. It might be enough of a negative to send your customer to a different store. How to fix this problem: Be sure that you shopping cart displays a photo and brief description of the customer’s products (even just a product name can be enough). 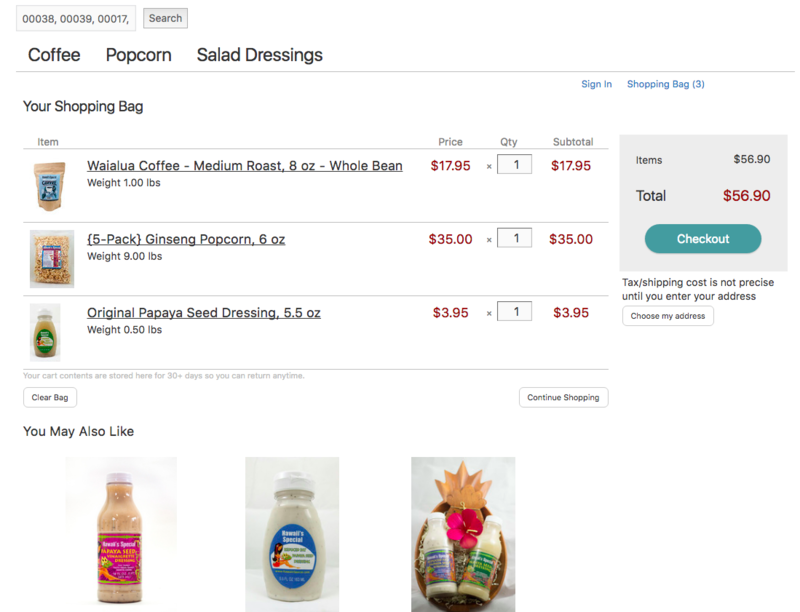 Make the products clickable so the buyer can easily access more detailed information on them if he or she wants. If we want to add a couple more of these wonderful candies to an order, should it be necessary to return to the product page and click the buy button again? Certainly not, no thank you. How to fix this problem: Allow the customer to change the quantity, size, or color of their items without leaving the cart. Or perhaps it is deeply hidden within your site. This is some of the most important data a buyer will want, after the price of products. If the customer is unclear on how to pay for and receive your items, he or she will not buy them. How to fix this problem: Make a separate page that outlines the delivery and payment conditions, then link to it in your site’s menu. It might even open up in a pop-up window. Is a generic email address the only way that people can get in touch with you? It is unlikely that visitors will write to you and wait for an answer. And their purchase is even less likely to take place. 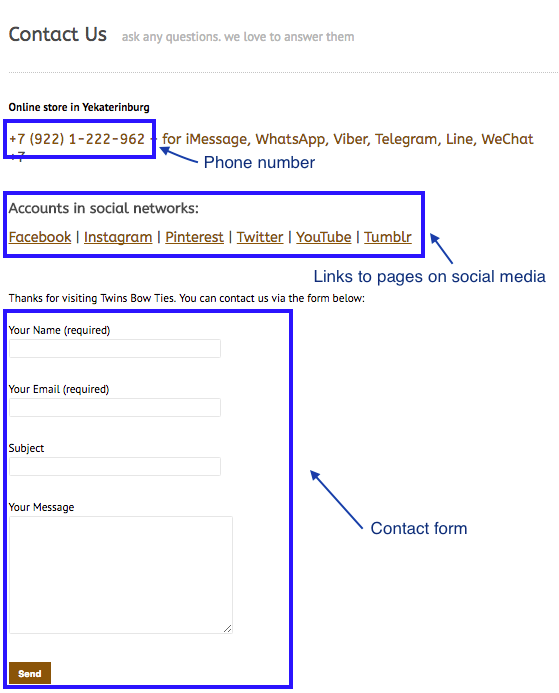 How to fix this problem: Make a dedicated contact page that includes a variety of ways for people to reach you. This information might also appear in your site’s footer or header. Consider including a phone number, a Skype username, an e-mail address, links to your social media feeds, and even a feedback form. For even more credibility, include a physical mailing address. More people browse the web and make purchases from mobile devices than ever before. Are you really going to ignore the growing majority of people who complete more and more tasks from their smartphones and tablets? When these customers visit your site from their devices, be sure that they are welcomed warmly, with an interface that works smoothly on their chosen means of web-browsing. It’s imperative to have a site that looks good and works well on mobile. How to fix this problem: Adapt the site to be friendly and intuitive for those visiting on mobile devices. Data from comScore shows that the number mobile web users is overtaking the number of people browsing from their desktop. It’s an unignorable phenomenon for those in the e-commerce business — be mobile-compatible!. Online shops powered by Ecwid can immediately solve more than half of these problems. 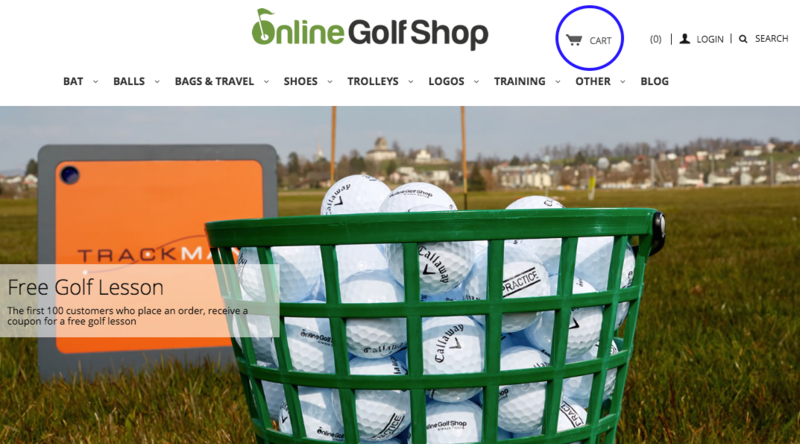 The buttons go in the right places, the cart is in plain sight, the items in the cart can be edited, and they are entirely mobile-friendly. You will only need to post photos and detailed descriptions, specify your delivery of and payment details, and add your contact info. The intelligent Setup Wizard does a lot of the heavy lifting for you, so keep your shop visible and active.